Perfect for upgrading the look of the exterior of your luxury hotel, adding a unique professional touch to your office or making a bold garden statement. 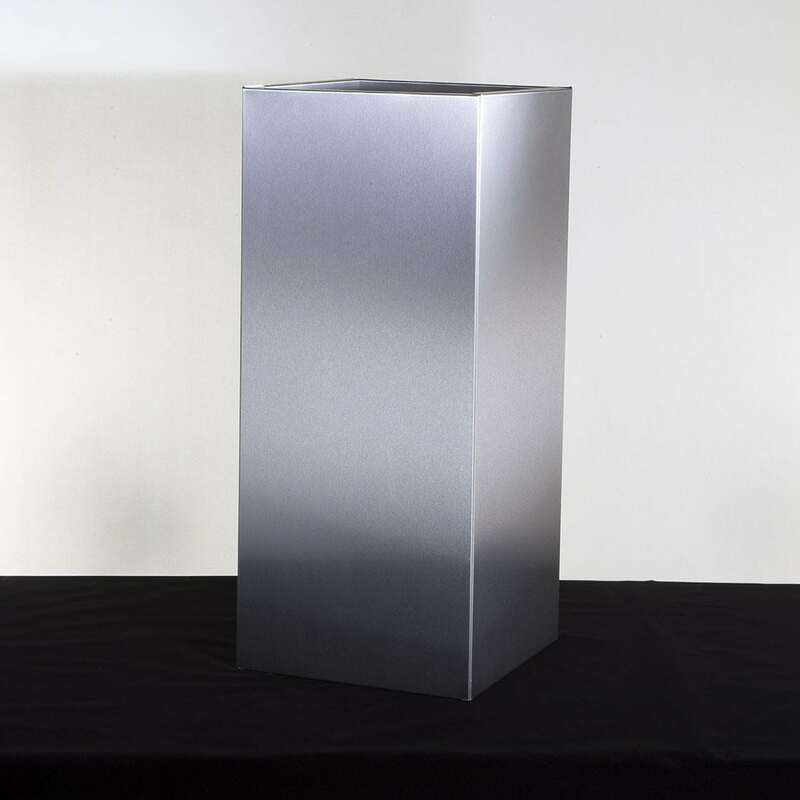 Our premium planters are available in a variety of shapes, sizes and finishes. 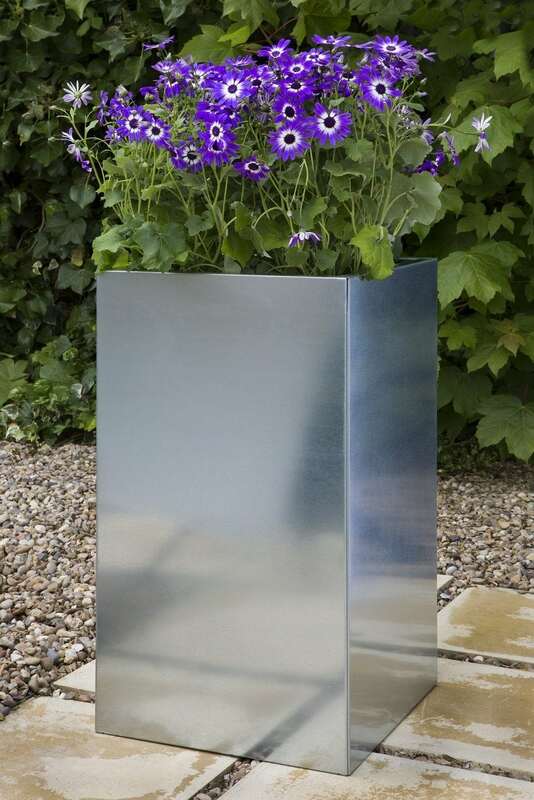 The range of sizes available in our classic tall square shape provide a planter ideal for any situation. 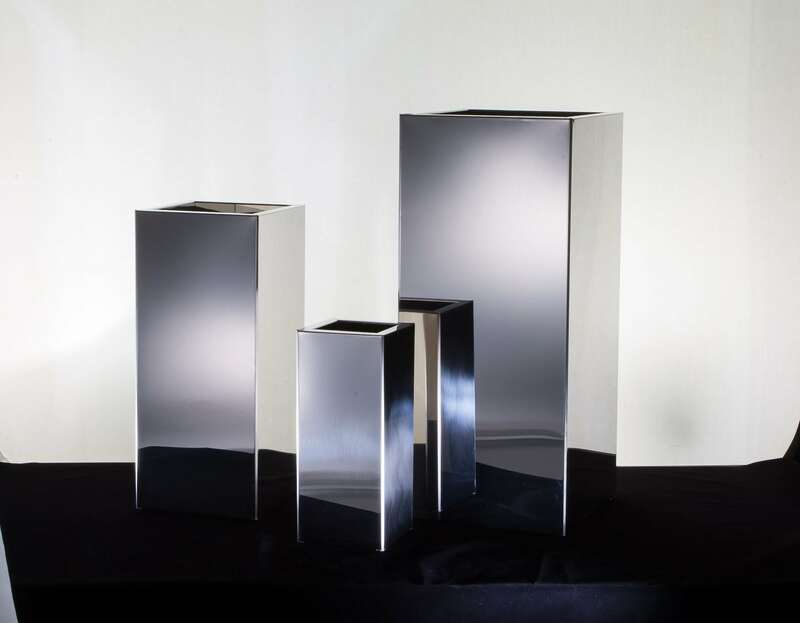 Choose from a classy galvanised steel finish, contemporary brushed stainless steel finish, modern mirror stainless steel finish or one of our core five powder coated steel colours. Our high quality powder coated finishes are chip, scratch, fading and rust resistant, available in Pewter Grey, Matt Black, Anthracite Grey Satin, Teal Green Satin and Matt Grey/White. Looking for something more specific? Have a colour in mind that isn’t listed? We regularly work with our customers on bespoke projects, our team love working on custom orders to create something completely custom. 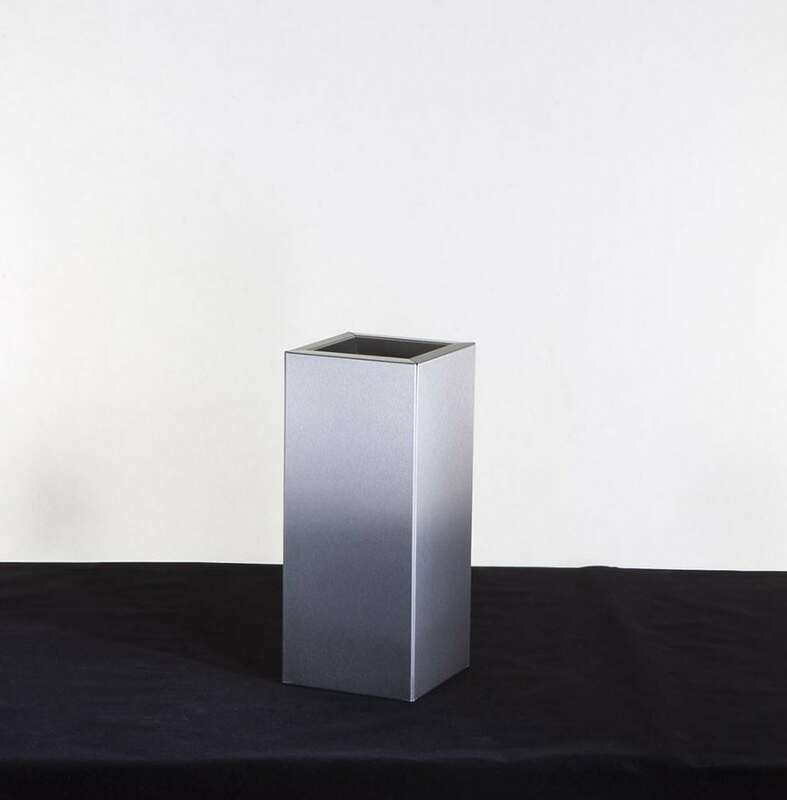 We can Pantone match any colour or even print your business logo onto the surface of our tall square garden planters. You can get in touch with our team here should you have any questions.